with a passion for the possibilities in leadership, learning and life. I love working with growth-oriented leaders who want to develop their true potential. Creating opportunities for leaders to thrive in increasingly complex times and for leadership teams to build stronger, higher-performing organizations. Why? Leaders create the enabling conditions for others to prosper and thrive. When leaders thrive, and are able to be at their best, everyone benefits – leaders, those they care about, and the teams and organizations they lead. Thriving leaders are better, more effective leaders – able to be their best, do their best, and bring out the best in others. And better leaders build stronger, more successful organizations; organizations that are able to perform at their best, making their greatest contribution to the social and economic fabric of our communities. I am deeply committed to supporting the sustained growth and success of the leaders with whom I work. My approach is collaborative, focussed on results and inspired by compassion, curiosity and courage. Working in full partnership with you, we’ll co-create our relationship, and the processes and strategies that will best serve you and your organization in achieving your goals. When I coach and mentor individual leaders, I provide both rigor and support in challenging and encouraging you to lean in and step up to what’s possible, while holding you accountable for the goals and commitments you make. I bring a holistic approach to my work, to help you connect the dots between who you are, how you lead, and how you can continue to grow and evolve personally and professionally. Deepening your capacity to lead consciously, from a position of choice, and at your creative best — accessing the widest range of possibilities in your leadership and life. When you lead from that place, you can tap into the space where true vibrancy lives for you; the space where you can truly thrive. Whether I am facilitating a strategic planning process, or helping you evolve your leadership culture, my focus is on working collaboratively with you to foster the conditions for success. I bring a learning lens, respect for all, and an appreciation of the unique perspective and wisdom each person contributes to a process. Knowing that people support what they help to build, I strive to create environments that encourage everyone to the table to create and co-create solutions. I leverage the power of invitation, questions, robust dialogue and debate, in the process of helping clients find the most compelling way forward, building capacity along the way. Openness, transparency and collaboration are key ingredients in any change process and I’ll work with you to foster those conditions in all that we do. 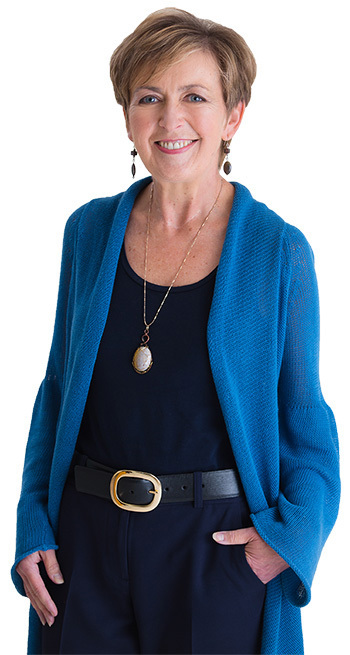 Michelle is a strategist, planner, facilitator, communicator, certified professional coach and leadership circle practitioner with more than 35 years’ leadership and consulting experience in a range of industry sectors, and companies big and small. She currently leads her own coaching and consulting business dedicated to leadership and organizational development, growth and success — for leaders, entrepreneurs and leadership teams. Keen to work on your leadership development today? If you’d like to gain some really practical advice about becoming a more effective leader, I’ve prepared a short article for you that highlights three things the most effective leaders do really well. It’s a quick read, and gives you practical, concrete leadership development tips you can focus on right now. You can download my Leadership Insights article for free here.